The Pratica Copa Chef Express rapid cook oven reduces cook times by more than 80% with chef-quality results, without the need for a vent. 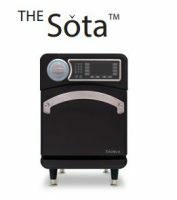 Perfect for the kitchen with limited space wanting to produce top results. 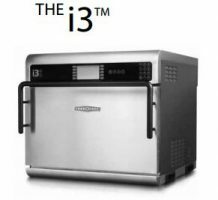 Utilizing TurboChef’s patented technology to rapidly cook food without compromising quality, the i3 oven provides superior cooking performance while requiring less space and consuming less energy. Utilizing TurboChef’s patented technology to rapidly cook food without compromising quality, the i5 oven maximizes versatility with its large cavity size and ability to cook with most any metal pan.